Aetrex’s line of Copper Sole Socks keep your feet healthy using advanced materials that eliminate harmful bacteria & fungi and promote healing. These premium socks are for those who are serious about keeping their feet healthy. 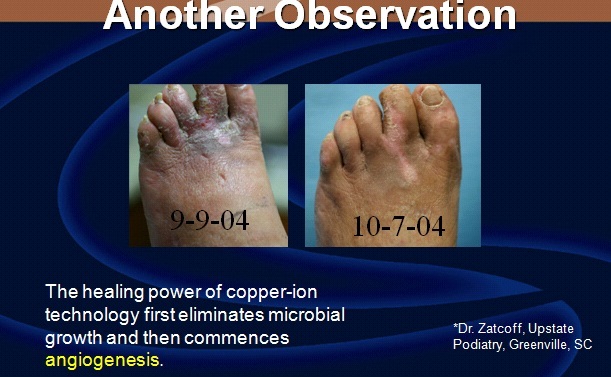 Health benefits of the copper socks have been shown through laboratory studies, military testing, and podiatrist clinical observations. If you are suffering from foot odor, sweaty feet, or want to keep your foot environment clean (important for diabetics), try a pair of Aetrex Copper Sole socks. 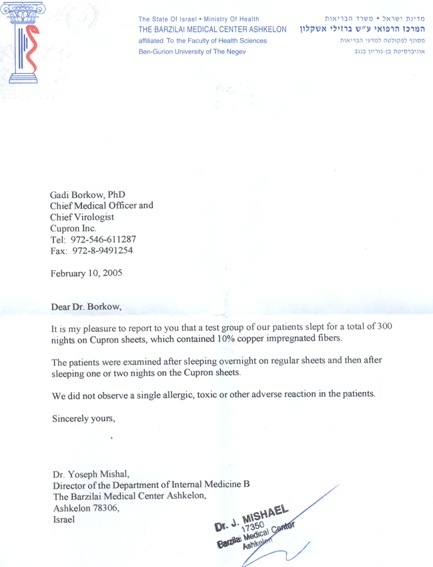 Medical professionals are well aware that all humans carry foot infection and ailment causing bacteria and fungi. 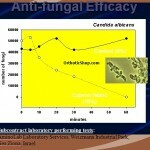 Additionally, the warm, dark, moisture-laden and closed environment inside shoes is perfect environment encouraging bacteria and fungi growth. 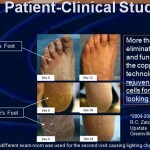 Diabetics require clean foot environments to prevent sores & ulcers from forming and to aid in healing. 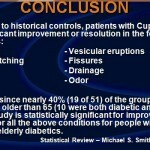 Finally, In a recent NPD on-line survey, more than half of consumer respondents complained about foot ailments. If you are suffering, know that you are not alone! 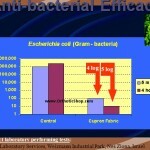 Copper has been used for thousands of years as a biocidal agent to destroy microorganisms. 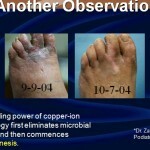 During this time NO microorganisms have developed a resistance to copper! Copper ions, either alone or in copper complexes, have been used for centuries to disinfect liquids, solids and human tissue. Today copper is used as a water purifier, algaecide, fungicide, nematocide, molluscicide, and as an anti-bacterial and anti-fouling agent. 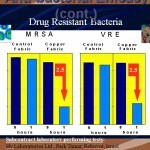 Copper also displays potent anti-viral activity. Cupron is the name of the company that infuses copper into the fabric, they call it Cupron Fabric. 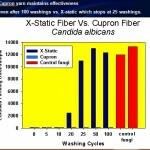 Cupron’s manufacturing technology permanently binds its proprietary copper compound to textile fibers, non-woven fabrics, paper, latex and other polymeric products. Highly sophisticated, implementation of this technology does not involve complicated or hazardous manufacturing methods. And best of all, the protection offered by Cupron-based products will last as long as the products themselves, regardless of the multiple hot water washings, abrasion or bleach. 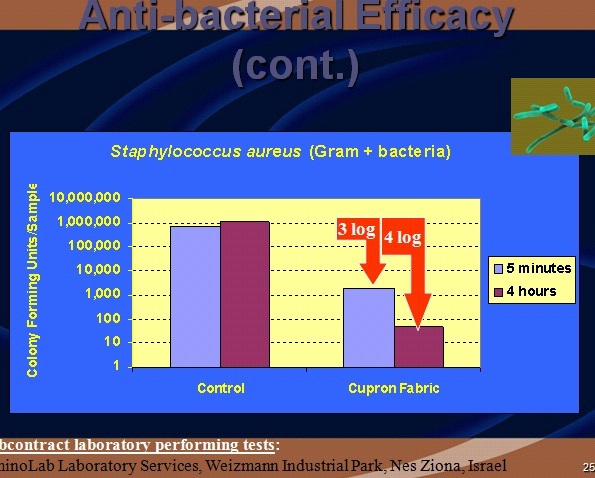 Cupron Fabric works by releasing copper ions. 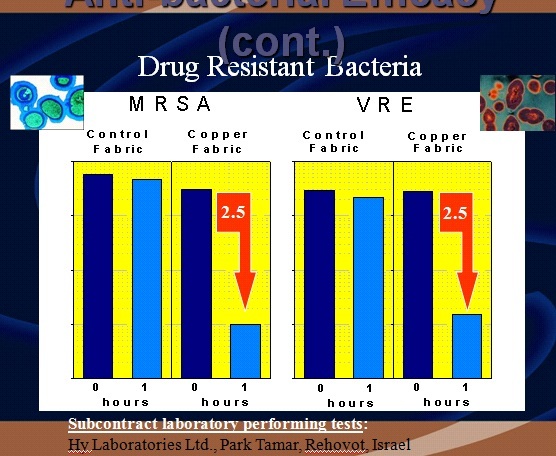 These copper ions damage the cell wall of the bacteria, damage bacteria DNA, and damage the bacterial proteins. 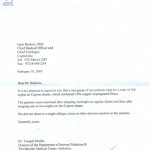 Bronchitis Vaccine Virus – Jordan & Nassar (1971) Vet. Rec. 89:609-10. Herpes Virus types 1 and 2 – Coleman et al (1973) Antimicrob. Agents Chemother 4:259-62. Polio Virus – Totsuka & Ohtaki (1974) Jpn. J. Microbiol18:107-12. 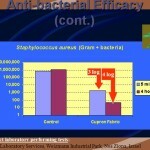 Bacteriophages – Yamamoto et al (2001) Biochem. Biophys. Acta. 91:257. HIV-1 – Sagripanti & Lightfoote MM (1996) AIDS Res. Hum. 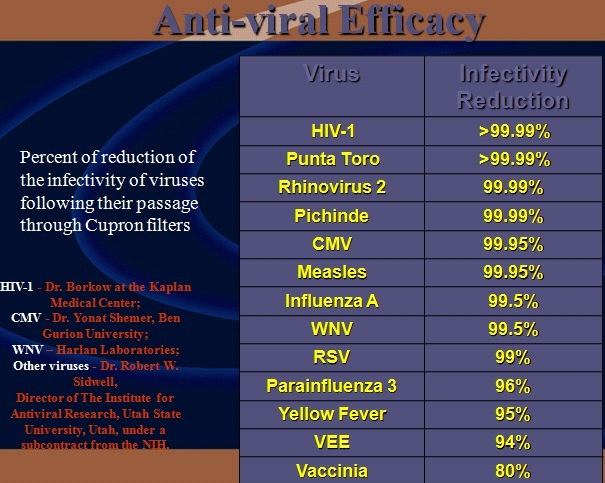 Retroviruses 12:333-7. Copper is an essential mineral for human health and is safe. 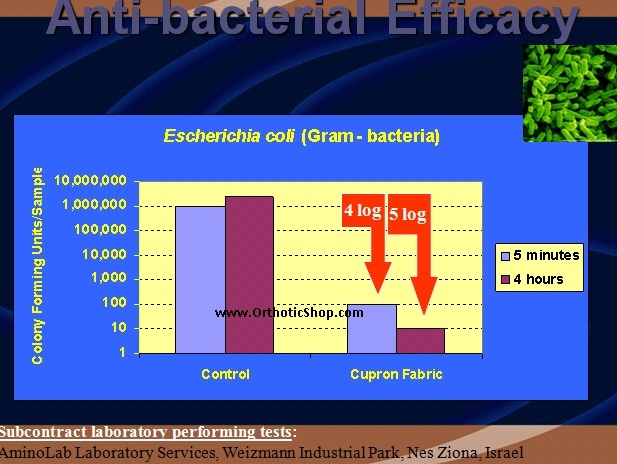 In a study of 100 patients there were Zero allergic, toxic, or other adverse reactions to Cupron fabrics. 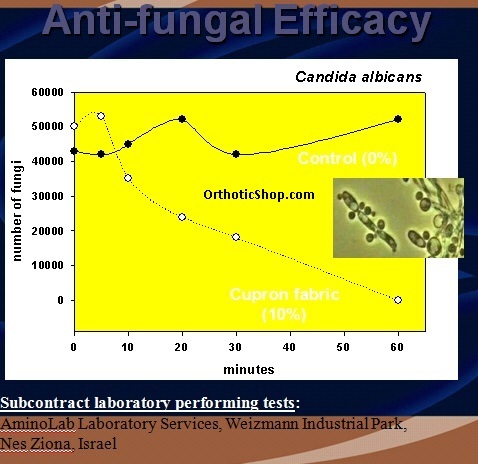 Cupron fibers made from Copper, have been tested in FDA Certified Laboratories and in human clinical trials and they have been determined to be biocidal in the destruction of bacteria and fungi. Copper is the only natural element that plays a vital role in collagen formation – a connective tissue in the skin. Additionally, as shown in the last image, Copper does not loose its effectiveness after washing as silver (x-static) does. Military Tested: The socks were tested by the Istrali Border Patrol Troops and it proved to eliminate athlete’s foot in all 50 soldiers who had the Condition. 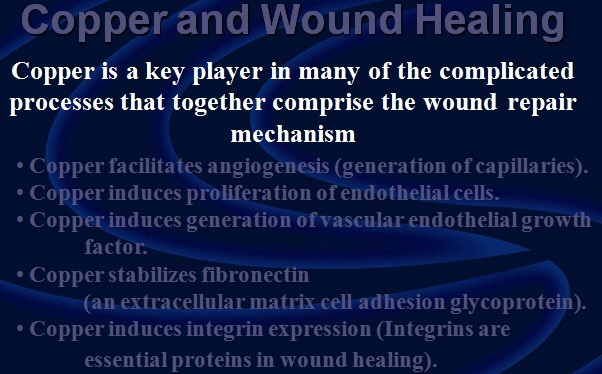 Erythema, Vesicular eruptions, burning / itching, scaling, edema, fissures, drainage and odor. 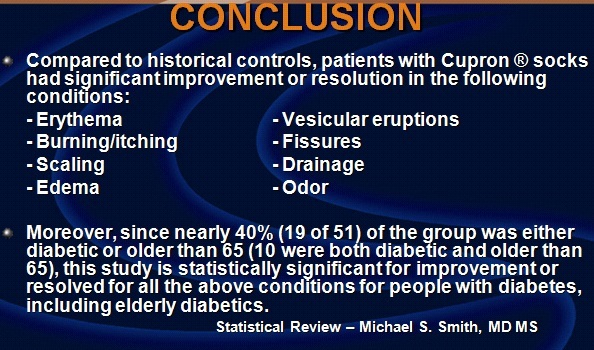 Below are before and after pictures from the study along with the conclusions of the study. 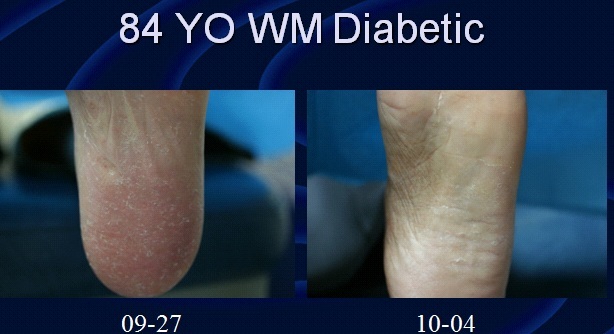 From the above, it is easy to see the healing benefits of the Diabetic Socks. 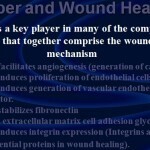 They promote healing, rejuvenate the skin and provides protection. Aetrex’s Healing Socks containing Copper Sole Technology is a superior, premium sock that is unsurpassed in comfort, performance and protection. 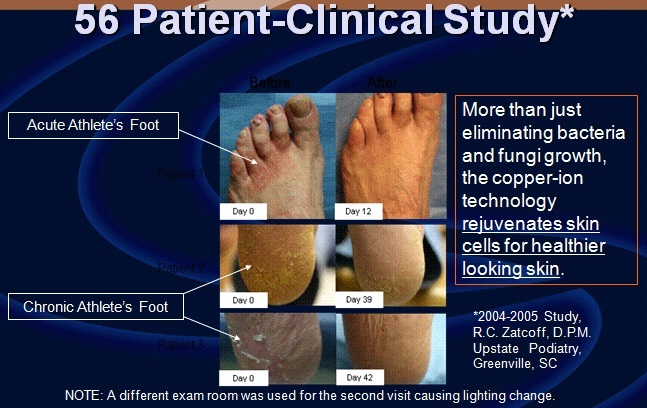 Copper Sole Technology has been lab tested and clinically proven to help prevent Bacteria, Fungi and Odor, as well as improve skin texture and appearance. 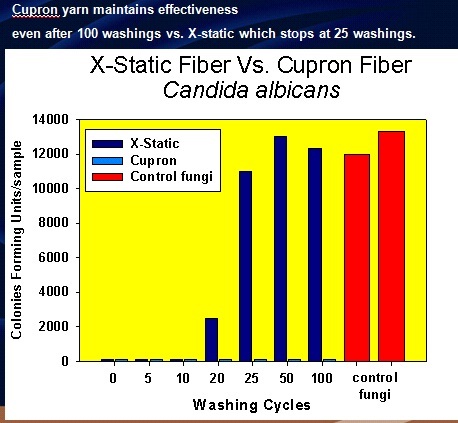 Copper ions are embedded in the CUPRON™ yarn to eliminate 99.9% of the Bacteria and Fungi in the sock, providing superior protection against odor that’s guaranteed for the life of the sock. These are the healthiest socks around and are great for anyone who wants to have healthy feet. The socks come in different varieties: Diabetic Socks, Athletic Socks, Compression Socks, and Dress Socks. View the selection in The Orthotic Shop’s product listing.